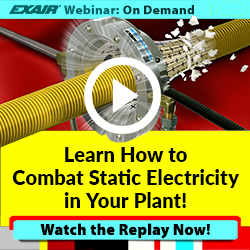 In the video above, two strands of braided copper wire are welded together in an automated process. As the wire travels through the machine, it is heated to 600-800°C (~1100-1500°F) to fuse together, cooled, then cut into strips. 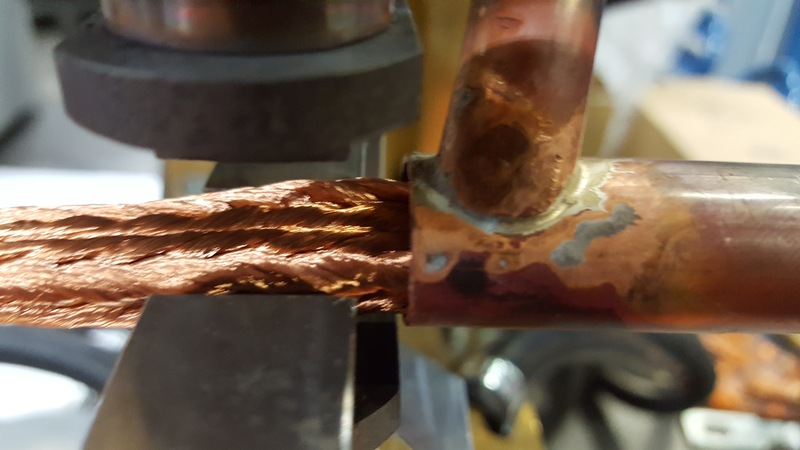 The original setup (shown in the video), was to use water to cool the copper after welding, but this proved to be undesired because residual water was left in the copper braid, leading to quality control problems. But without proper cooling, the heat created during welding would stress the copper and reduce the quality of the product. In an effort to remove the liquid cooling from the application, the customer was considering whether a Vortex Tube solution would be able to remove enough heat from the copper in the required timeframe of 10-15 seconds. The end goal was to maintain the production level of the process, but to remove liquid from the application, and cool the welded copper to 200°C (~400°F). In order to allow for on-the-fly adjustment, an Adjustable Spot Cooler was chosen for testing purposes. To configure this setup, the cold outlet of the Adjustable Spot Cooler was fed into a tube surrounding the copper braids (shown above). This tube surrounded the welded copper with below freezing air to remove the heat and cool the copper. The results of this setup are shown above. 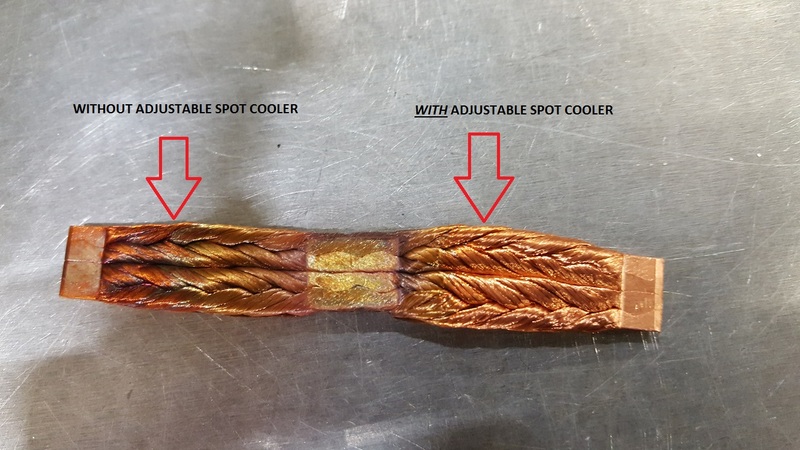 On the left is the output of the process without cooling from the Adjustable Spot Cooler (copper of this quality fails quality control checks), and on the right is the output from the same process, but with cooling from the Adjustable Spot Cooler. The copper on the right is welded, cooled, and will pass quality control checks – all without the use of liquid cooling. Removing liquid cooling from this application increases the quality of this production process, all while maintaining the same production levels. And, this customer is now considering the use of a “stronger” Vortex Tube solution which may provide for increases in the throughput of the production process. 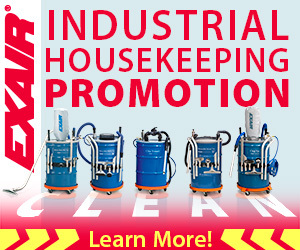 To discuss a similar application, or any application in need of a compressed-air based solution, contact an EXAIR Application Engineer.